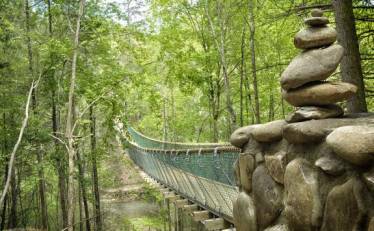 In 2011, Foxfire Mountain Adventures in Sevierville, Tennessee began the construction of a new swinging bridge at their adventure park that lies in the shadow of the Great Smoky Mountains. 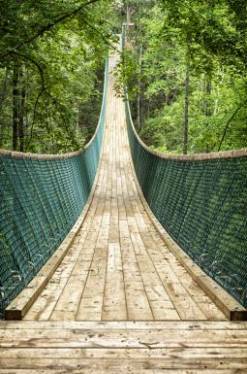 When the contractor in charge of the bridge construction had trouble sourcing the hundreds of specialty galvanized double ended eye bolts required for the suspension of the bridge walkway, he turned to Portland Bolt. By working with the customer, we were able to custom fabricate hundreds of these special double ended eye bolts to the contractor’s requirements, as well as manufacturing several hundred custom galvanized u-bolts and round bend hook bolts that were required for the connection of the ties and planks of the bridge. With our in house galvanizing line and 100 years of experience as a custom bolt manufacturer, the contractor knew that he could rely on us to provide these custom bolts and that when they arrived they would be correct and would arrive on time. 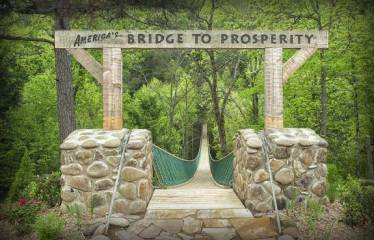 The completed bridge, now known as America’s Bridge to Prosperity, is 4 feet wide and 424 feet long. 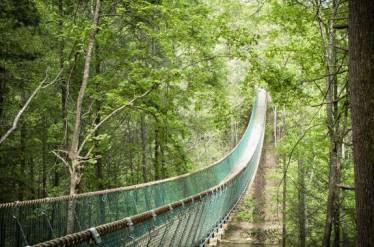 With a span one and a third football fields long, it is now the longest swinging bridge in America! 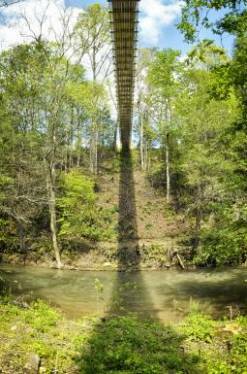 It is anchored at each end by over 30 tons of concrete and features six 11⁄4” cables strung across the Little Pigeon River gorge and then crossed with 134 6″ x 6″ cross ties and planked with over 204 2″ x 8″ decking boards. Do you have a project that requires custom fabricated u-bolts, eye bolts, or other types of fasteners? If so then you should contact one of our experienced estimators today to discuss how we can help you out!